iPhone Apps help you in all needs and once downloaded, they can be used with / without relying on the internet, on your iPad, iPhone, or iPod touch. iOS is the world´s most advanced mobile operating system with easy to use interface, excellent performance and amazing features. 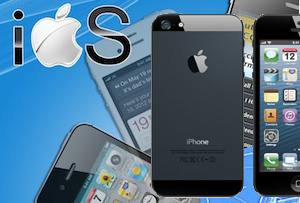 iPhone is most reliable next generation mobile platform in today´s market. On releasing iOS SDK, Apple has provided unique platform for iPhone developers. iOS SDK gives freedom to iPhone developers for creating innovative and user-friendly multi-touch applications. HGS Technologies is a leading iPhone Application Development Company in India. We update our knowledge and skills constantly and that helps us develop ingenious app solutions for different business domain. We achieve our Goal by delivering innovative iPhone application to our clients in an honest, fair and transparent way. HGS Technologies iPhone App developers have wide knowledge of working on Xcode IDE, objective C, Cocoa framework, Cocoa Touch, Core Service, Location based service. HGS Technologies has well-experienced team for iPhone app development and has Strong core knowledge about the iPhone application development. HGS Technologies is a leading iOS Application Development Company in Chennai, Our iOS Application Development team has worked with multifaceted category apps and has delivered within the estimated delivery time. HGS Technologies provides end to end solutions for all your app development needs. Any level of complexity related to iPhone apps can be handled by us. Not neglecting the design section, equal attention is given to attain the gorgeous and polished look so that the user can also get attracted on the looks. User experience and user interface is maintained in the apps we create. iOS apps are built both in native and in hybrid format and hence, the apps can also be published in other OS platforms with iPhone app developers.